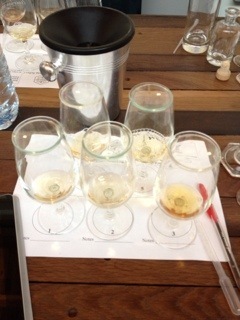 Tagged Jura, Jura Whisky, peat, Propecy, Superstition, Tasting, The Whisky Wire, Tweet Tasting, Whisky. 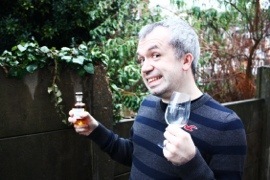 We were again fortunate enough to be invited along to the latest event in the Whisky Wire’s series of Tweet Tastings. 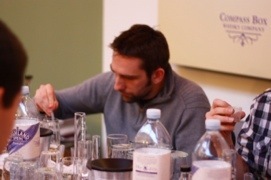 Up for tasting this time was a blend that we’d heard a lot about but had never tasted – Cutty Sark. This was about to change as we were sent four generous samples of whisky including; Cutty Sark Blend, Cutty Sark 12, Cutty Sark 18 and the recently released Tam O’Shanter 25. The tasting was again expertly led by Steve, and we were joined by Kirsteen Campbell, Master Blender at Cutty Sark who entertained us brilliantly with her insight into the whisky we were tasting as well as answering a lot of questions about the nuances of the whisky, its maturation and origins. 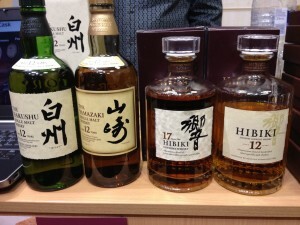 Tagged Cutty Sark, Review, Tasting, Whisky. We are leaving the Midlands and heading off to Compass Box HQ on Saturday so we thought we would make our first review on of their fabulous whiskies. Check out the Reviews page to read what we thought of it. Tagged Compass Box, Spice Tree, Tasting. 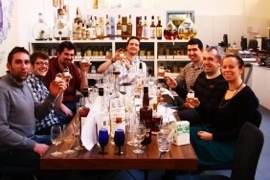 Thanks to the wonderful Gregg at Compass Box Whisky we off to London on Saturday to enjoy a day of tasting and blending whisky. It has the added bonus of raising some money to help schools in Malawi. The plan for the day is to taste through Compass Box’s excellent core range of whisky, to taste the base malts and grains that make up their whiskies and then to have a crack at blending ourselves! Watch this space for updates on what should be a great day and see of we can make anything that meets the approval of Gregg! Tagged Charity, CompassBox, Tasting, Whisky.